(Newser) – A young Japanese pop star remains in critical condition after a man attacked her with a knife on Saturday at a Tokyo event, reportedly because she may have spurned a gift from him, per the Japan Times. 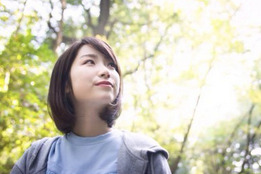 Mayu Tomita, 20, was said by Tokyo Metropolitan Police to have been stabbed "several times" around 5pm local time, with some reports numbering the stabbings at more than 20, per CNN. She had been set to perform that evening in the same building. Tomohiro Iwazaki, 27, was arrested and admitted to the attack, police say, and he may have been the same Iwazaki that Tomita said had been stalking her on social media lately. Police said they recovered a bloody folding knife at the scene, and Japanese news station NHK says Tomita was found unconscious with stab wounds to the neck, back, and chest, People reports. This is a terrible story, but the other murder is grabbing all the attention in Japanese media right now. That x-Marine who raped and killed a 20 year old Japanese woman in Okinawa. Weird. I thought the general consensus was that only black people commit violent crimes. How did this happen? I sure hope the culture of that country has matured to the point of throwing the book at that stalker.